The California State Assembly this week passed a bill that would ban hotels, motels, resorts, etc. from giving out small plastic bottles (less than 12-oz) of shampoo, conditioner and lotion. The goal is to decrease the amount of plastic containers. The bill now goes to the Governor’s for approval. If approved by the Governor, the ban would go into effect on Jan.1, 2023. I bet the room prices won’t be reduced, you’ll have to buy a 16oz bottle at inflated prices. Who the hell sponsored this? The hotel industry? What I want to know is where is the video of the turtle that choked on that shampoo bottle??? California lawmakers are falling all over themselves trying to pass the next great law that panders to the ‘green’ party and over zealous virtue signalers. More insanity from CA incompetent control-freak “leaders”. Hotels can figure out a way to have refillable dispensers. Glad we are finally waking up to the fact that we are destroying this planet with all this plastic waste. Do you really want to use a refillable dispenser and assume the contents are what they are supposed to be? Safety conscious people will just bring their own travel size toiletries. Better dump all the in-room Kuerig coffee makers and the plastic lids also. This is no solution; just more grandstanding. Biodegradable containers are a solution, but that will require real innovation and effort, not just paperwork. (1) using refillable containers; and (2) using non-plastic containers such as biodegradable containers. I think either solution, properly implemented, could work and help cut down on plastic waste. I think this is a great idea! At home we have reduced our plastic usage. I buy bar soap again and you can find bar shampoo’s. We also don’t purchase those large plastic laundry detergent containers and go for the powdered kind with cardboard boxes. Even the smallest change makes a difference!! What difference are you making? If you’re throwing it in the trash or recycling it goes in a landfill and we’re not running out of landfill room for thousands of years. If you’re worried about pollution, again, your garbage goes to a landfill most ocean pollution for example comes from Asia, India, and Africa. The change you made is extremely negligible and will not be felt in any way by any future generations. I am so glad I moved out of California! With the streets in San Francisco and many of the suburbs being like an open sewer with all the homeless garbage piles and feces the state government is spending its time on this? S.F. wants to build a homeless shelter in a prime tourist area. Just down the street from the Giants Oracle Park. Prime real estate with bay views! The new Chase center is down a few blocks from the ball park. Yup. SF just keeps getting better. once again, California operating on emotions and not by common sense. Welcome to the crazy place!!! I travel for work, and save all the toiletries I receive from my stays and donate them to women shelters. Geez! Can’t win for losing. Now that’s thinking on ones feet. Hats off to ya! @The Traveler- I do too, but is all that plastic worth it? I would rather buy costco sized stuff once a year and donate it rather than hold on to all those little bottles and then donate them. Also, we may do that, but a lot probably go to waste in people’s bathroom junk drawers! Just got back from a great trip to Costa Rica. I was amazed at the lack of trash in the towns and along the roads. The hotel had a rack with three pump dispensers in the shower. Shampoo, conditioner, and body wash. Easy to use and less plastic trash to end up somewhere. We can learn from their example. Good thing I live in CA and vacation in other states. Lots of those bottles get donated to homeless and low income families. More likely the government just wants to control whats given out and find a way to tax it. I doubt they will put in pump dispensers unless they can make them small so people dont fill personal bottles. O! M! G! Our California Lawmakers have finally turned against the “HOMELESS”! Aren’t we asked to donate these items to shelters????????????? I don’t know why people are mocking CA for doing this. We were in Florida a couple of months ago and the hotel had wall mounted refillable dispensers for soft soap, body wash, shampoo and conditioner. We thought it was brilliant. If you worry about the quality of the products they use, almost every grocery store and Bed Bath and Beyond sells travel versions of major brands or you can buy refillable bottles at Ross and fill it with your own. What won’t people get upset at?! So, instead of using the travel size shampoo at the hotel, people should buy their own travel size shampoo? That should certainly do a lot to save the environment. Unfortunately, it’s not always possible to fly with all that stuff, and who wants to go shopping in a strange place after a long trip? Using the refillable ones in the hotel is a great idea until you get some special hair gel in your conditioner or something. @Chicken Little That is some serious first world problems. If you have enough money to travel you have enough money to buy some soap/shampoo. I did 3 weeks of travel in Europe and it wasn’t that hard to get toiletries. Also, are you scared of washing your hands in public restrooms because someone could have tampered with the soap? How do you know the little toiletries in hotels haven’t been tampered with? C’mon now, this is nothing to be so upset over. Personal freedom continues to be eroded by overreaching government and people just merrily go in their way. We do go through a lot of plastic. I did prefer the hotels that just had the dispensers right there in the shower. For those of you who generously donate your small bottles to the homeless shelters I applaud you. I am sure the homeless shelters would appreciate it if people donated large shampoo and conditioner bottles. Maybe next time you go to the store buy an extra bottle. The next ban is on toilet paper in hotel rooms or public bathrooms. Another monumental achievement by the state democrats. It appears that issues like education, crime, housing, transportation, crumbling infrastructure, and the like, aren’t important to them. Actually, they are all nothing more than a bunch of simple dolts. They don’t process the intelligence and ability to handle and mitigate the huge problems that plague the state. So, what they do, is make up little simple things for themselves to achieve, to make themselves feel and look valuable and important. Either way, the liberals are all for it. Outstanding, they were able to take time out of their valiant efforts in taking care of deferred infrastructure projects, reducing the ever widening gulf of state employee pension liability and funds available to pay pensions. Evidently designated adult in state legislature MUST was on vacation. So liberals are not confused all of the above was sarcasm. Clowns in CA state legislature have WAY too much time on their hands. The other day I read that they found a dead whale with 88 pounds of plastic in it’s stomach. On the idea of donating to the homeless, sorry, but the homeless are responsible for way too much litter. Don’t believe me? Check out the trash left on Meadow Lane near Monument. Poor whale. I’m hearing so many sad stories like that now. It does appear as though many homeless people generate enormous quantities of trash. I’d like to think If I ever ended up living like that I’d spend whatever time I had left cleaning up. My mom always insisted on leaving everywhere we went cleaner than when we got there. It always gives me a bit of a boost. But I don’t know, maybe if things got that bad I wouldn’t. Or couldn’t. This is ridiculous. I bring my own, but a lot of people rely on these because they don’t want to deal with shampoo, etc. spilling in their suitcase. Or they forget to pack it. Buying little samples on your own when you arrive would defeat the purpose. If they do away with these little bottles, they need to put in pump dispensers in every hotel. What hotels charge – they can afford it. I bring my own anyway. I wouldn’t even wash my tootsies with the stuff in the little containers. Yeah, I know what you mean. Those Paul Mitchell shampoos are for absolute plebs, I wouldn’t even wash my dog with that! Some of y’all acting like this is some kind of government conspiracy to control our showers or something. Some things really are just what they seem. We should be happy that the hotel industry is going greener; every effort keeps plastic out of our oceans. My heart goes out to all those poor, bereaved people who will have a mini shampoo bottle-shaped hole in their hearts, but I promise you’ll get through this. Except this really is some kind of government conspiracy to control your showers and your lives. You’ll get my shampoo, conditioner and lotion when you pry them from my clean, smooth and pleasant smelling hands. On the other hand, this is an opportunity for shampoo dispenser manufacturers. Hmm, I wonder who is lobbying for this bill! If this loony further intrusion into our lifestyle passes into law I shall demonstrate against it by refusing to recycle any plastic in the future. From now on it all goes into the regular garbage. Good point mtzman. I’ll just throw all my plastic waste on the side of the road instead. Just the kind of response you can always be counted on to provide. The ironic part will happen when we see you in an orange vest working off your sentence for illegal dumping picking up someone else’s trash, where it will go through the same process as the OP’s brilliant solution. Your dire warnings might work on those students you’re so proud of indoctrinating, but with me they fall on deaf ears. Ever see the amount of trash on the beaches of 2nd and 3rd world countries? But, I’ll bet there aren’t any CA plastic straws. 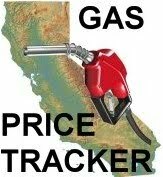 CA state loony bin legislature saving the planet, as they try to out liberal each other. Don’t be shocked when political campaign contributing garbage companies get politicians to pass laws enabling them to landfill plastic now that third world countries are starting to refuse our plastic recyclables. An by the way it WILL be our fault somehow. It’s government engaging in behavior modification and social engineering of the population!!! Just like California’s plastic bag ban and Concord’s styrofoam container ban, government has chosen to harm certain American businesses and American workers in favor of others, and in the case of the plastic bag ban they chose to benefit foreign companies and foreign workers at the expense of American companies and American workers. This is completely stupid! 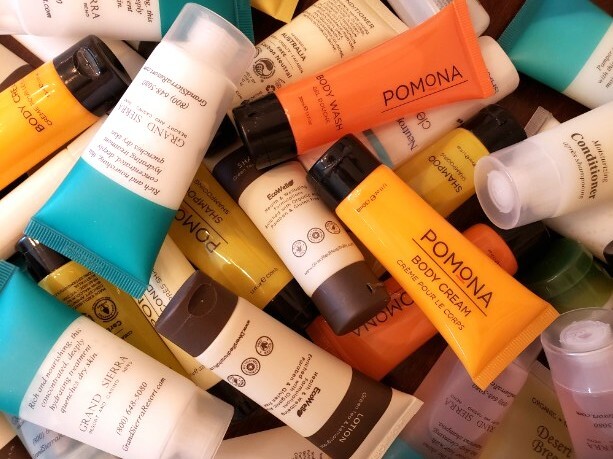 And it won’t stop travel size bottles, because instead of getting them for free, you’re now going to have to buy them at inflated prices either before you leave or at the hotel. Ridiculous! These bans on how to live you life need to stop. I’m surprised they haven’t banned diapers yet, but believe me it’s coming, if we continue on this path.